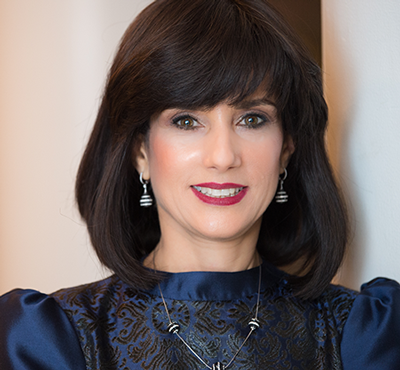 Rachel “Ruchie” Freier, a 53-year-old mother of six and grandmother many times over, is the first Hasidic woman to hold elected office in the United States. She lives with her husband in the Borough Park section of Brooklyn. As depicted in the new documentary 93Queen, she is the founder of Ezras Nashim, the first all-female volunteer ambulance corps in New York City. A lawyer as well—she graduated from Brooklyn Law School at the age of 40—she is now in her second year of a 10-year term as a civil court judge in Brooklyn’s 5th Municipal Court District. She’s encouraged that more women than ever will be running for office in November. “Women bring a different perspective. We have different thinking processes and we bring so much to society,” she said in a conversation about inspiration, faith and lessons learned. Do you see yourself as a role model for Jewish women and girls in the haredi community? I try to shy away from the term role model. I can’t possibly be a role model to every Jewish daughter because she will follow her family’s tradition. But I would consider myself a trailblazer. I want to show women and girls that you can remain observant of all the mitzvot, as your family and community observes them, and still be successful in the secular world. Sarah Schenirer, a Polish seamstress who opened the first school for Jewish girls in 1917 in Krakow, Poland. I learned about her because some of her students were my teachers at the Bais Yaakov High School in Brooklyn. As I got older and read more books about her, I realized she changed Jewish history. She was a pioneer. Without Jewish girls getting an education, we wouldn’t be where we are today. Change is slow in the haredi community. Have your efforts with Ezras Nashim made a difference? We still have a long road ahead of us. Outsiders say, “You’ve done so much,” and we have, but it hasn’t really manifested itself yet. I think it’s better now but we still have to change the culture, and that takes a long time. What would you like women in your community to learn from your example? Women have always been afraid to venture out into the secular world, but there’s no need to compromise your values. That’s what always holds people back. There’s a feeling of, don’t put yourself up to be tested. Times have changed. I’d like to inspire women to be who they are and not hide it. Being Hasidic didn’t hold me back from being successful. Being Hasidic made me successful. How has your knowledge of Torah law informed your decisions in court? And what else do you draw upon on the bench? Torah law doesn’t have any bearing because I’m in a secular court. But the Torah teaches character, how to treat others, how to be patient, listening to both sides—it’s all in the Mishnah. My experience as a mother, grandmother and an advocate for children has helped me when I have young defendants in front of me. Being able to speak to these young defendants and make them realize they have potential is very meaningful for me. As we observe the High Holidays, what wisdom can you offer at this time of self-reflection and judgment? When I judge a defendant, I also think, “How is God judging me?” The slightest thing I do may affect His decision about the kind of year I’m going to have. One act of kindness to somebody else can have a profound impact. How do you balance your busy career and family life? I just take one day at a time. I pray a lot. And I believe that everything is in the control of whatever God wants to happen. There’s just 24 hours in a day. I try my best. Gerri Miller is an entertainment and lifestyle journalist who contributes to the Jewish Journal in Los Angeles and numerous other publications.